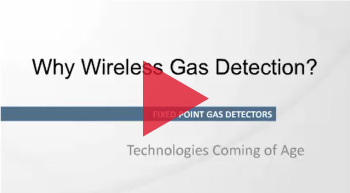 Home | Solutions Center | Webinars | Why wireless gas detection? Learn more about how WirelessHART® gas detection has come of age and promises improved protection for plants that utilize toxic or combustible gases. Explore how augmenting wired gas monitoring with wireless gas detectors can improve safety and compliance, economically; how to solve difficult problems often associated with toxic and combustible gas monitoring; how advancements in rapid deployment and portability can get you up and running quickly and with great flexibility; and what to look for when selecting wireless detection technology.